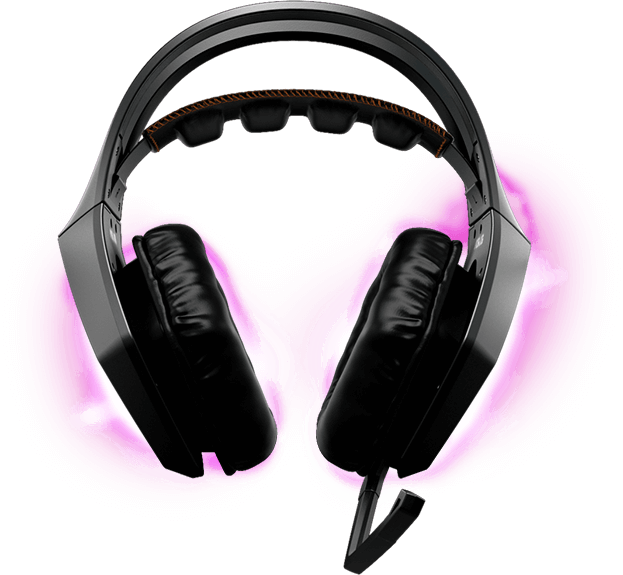 ROG Strix Wireless is a gaming headset with 2.4GHz wireless technology that provides a lower-latency connection than Bluetooth headsets for instant audio transmission. The included USB dongle features exclusive technology that enables wireless connections to both PC and PlayStation 4 with fully functional headset controls. With ROG Strix Wireless, every in-game sound reaches your ears instantly even from up to 15 meters away from your PC. ROG Strix Wireless features a dual-antenna design with an automatic interference avoidance mechanism to ensure a stable connection, even in complicated Wi-Fi environments. 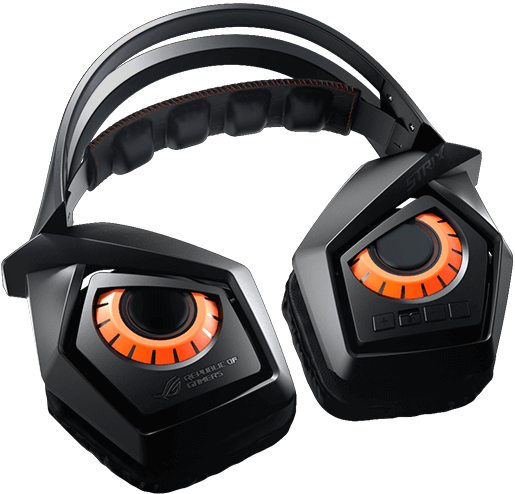 Immerse yourself in your games with stunning 7.1 virtual surround sound1 from ASUS Sonic Studio. With this exclusive audio technology, you'll be able to hear every gunshot and footstep with pinpoint accuracy, so you can easily locate and gain the edge against your opponents. ROG Strix Wireless comes with the latest ASUS Sonic Studio software suite for full control over your audio experience, from equalization (EQ) to 7.1-speaker level-balancing. 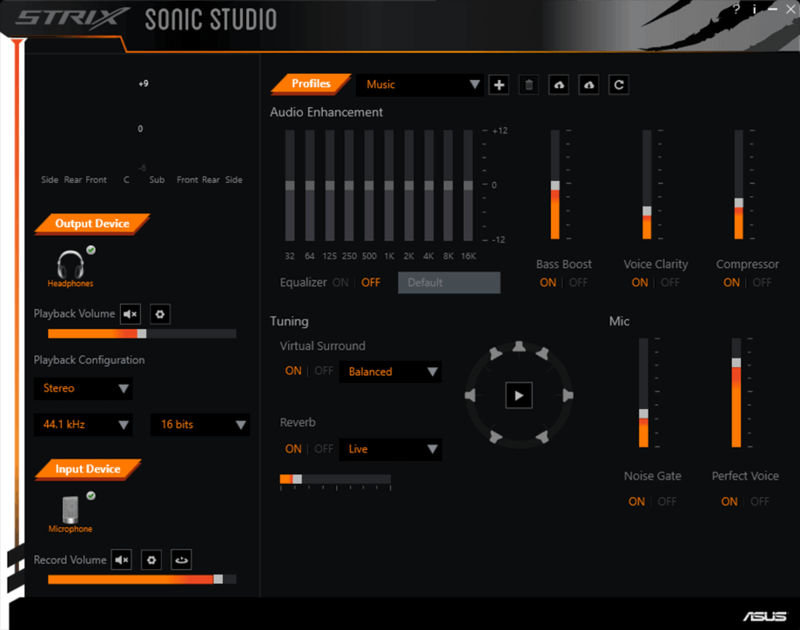 Unlike typical audio utilities with multi-screen interfaces that make configuration complicated and time-consuming, Sonic Studio has a neat,all-in-one view and intuitive controls. 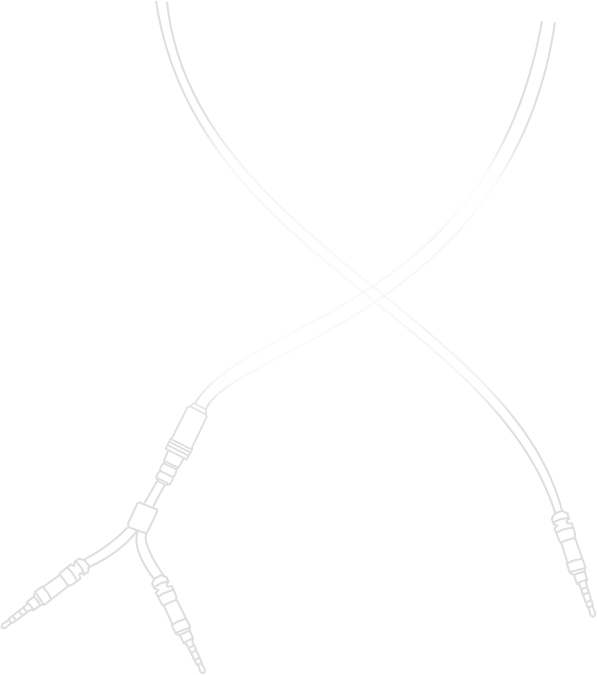 You can even create and apply audio profiles for different scenarios with ease. In addition to connecting wirelessly to PC and PlayStation® 4, ROG Strix Wireless can also connect in wired mode to PlayStation 4, Xbox® One, PlayStation® 3, Xbox® 360, PC, Mac, smartphones, and tablets with the included 3.5mm combined four-pole audio/mic adapter and 1.5m Y-cable extension. ROG Strix Wireless is equipped with a 900mAh battery, which provides more than 10 hours2 of nonstop use per charge, letting you game without interruption — even during marathon sessions. The flexible boom mic provides clear, in-game voice communication and detaches easily for travel and storage. Dedicated buttons3 on the ear cup provide instant, eyes-free headset control while gaming. Make volume adjustments, turn the microphone on or off, and control headset power with these intuitive, easy-to-reach keys. When creating ROG Strix Wireless, we carefully considered the feedback of gamers worldwide and built upon our previous design experience with the goal of making the most comfortable gaming headset. The newly designed ROG Strix Wireless employs an optimized clamping force based on lab testing with a wide range of head shapes and sizes to further improve wearing comfort. 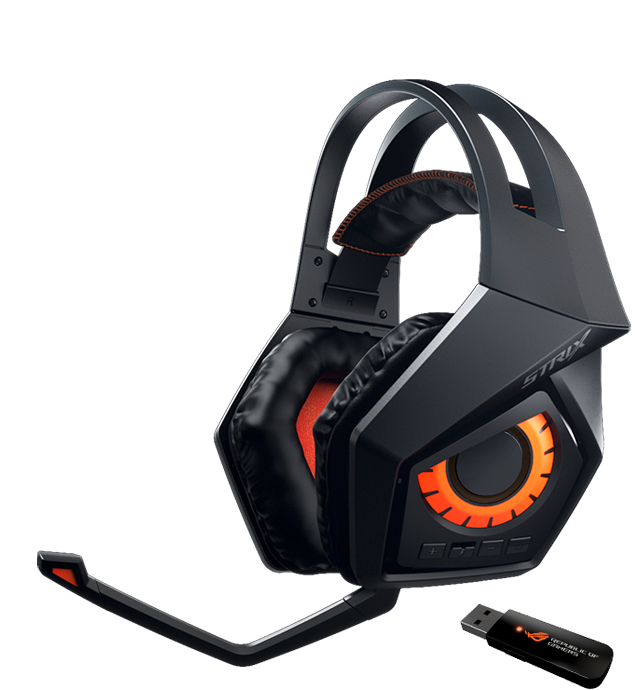 It is also cushioned with ultra-soft, full-size memory foam and highly breathable protein leather for greater comfort and no ear fatigue during prolonged gaming sessions. A foldable design allows the headset's ear cups to lay flat, so you can pack and take it anywhere.The microphone boom is easily detachable for travel and storage. ROG Strix is the newest recruit into the Republic of Gamers. A series of specialized gaming gear designed for the rebel in all of us, Strix embodies ROG's premier performance, innovative technology, and leading quality, but with its own confident and dynamic attitude. Featuring bold designs and bright colors, this exciting new series possesses a spirit of fierce individualism that charges every gaming experience with thrilling energy. ROG Strix equips players with the necessary speed and agility to dominate their game. A new generation of force has arrived. Join the Republic and experience the power of ROG Strix.